Each year, the Pacific Beach Coalition has mobilized and inspired thousands of volunteers to plant trees, create or regenerate gardens, restore habitat and cleanup streets, shopping centers, beaches and bluffs. Since 2005, this “citywide day of action” has grown from a modest 150 volunteers to more than 8,500 Earth Heroes in 2013. Just one Earth Hero can make a difference every day! But when 13 schools, 135 businesses, 150 community groups, and more than 7,000 Earth Heroes come together on one day … united in action, together in spirit … it becomes the little things … making a big difference … that matter! We thank every participant who joined our citywide day of action and education, going to the ends of the Earth to protect wildlife, our ocean, creeks, hillsides and beaches in Pacifica. The incredible lineup of amazing family fun also featured our first Unsung Hero Award, 40+ eco-booths highlighting environmental education and local non-profit groups, hands-on activities for all ages, a Whale Walk and Shark Stroll, special appearances by local and state dignitaries, the kick-off of our Tobacco Litter Reduction Education Initiative and our first annual Unsung Earth Hero Award, and our long-standing tradition of honoring our volunteer Earth Heroes with a complimentary reusable ‘cup of joe’ and celebratory cake! 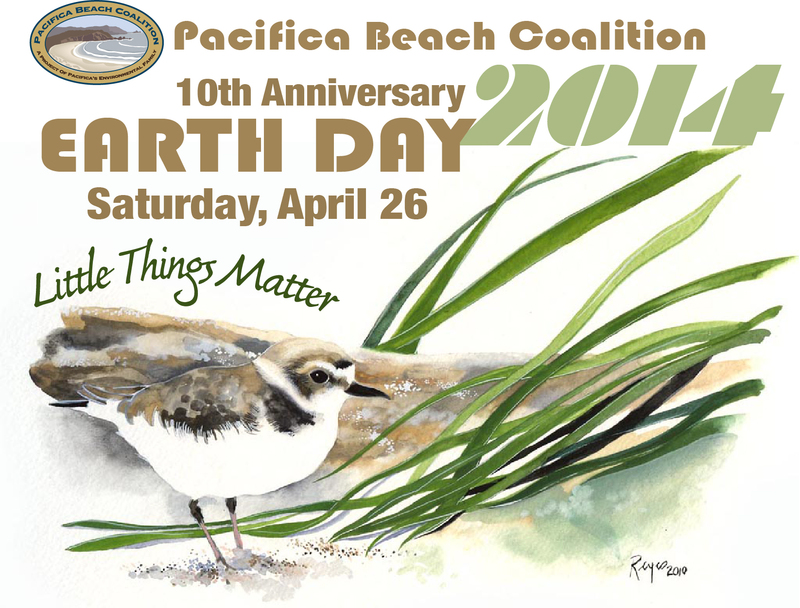 Learn more about our 2014 Earth Day honoree, the snowy plover. Thousands of volunteers of all ages (8,531 volunteers, 150 community groups, 125 businesses) heeded the call to action and “took a bite out of litter” by restoring coastal habitat at more than 50 citywide sites during the 9th year of one of the largest rallies to protect and preserve the local environment recorded in our coastal town. They cleaned up litter, gardened, and restored habitat across a distance of more than 12 square miles from Devils Slide to Mussel Rock along the highway and streets from Highway 35 to the beaches of Pacifica. More than 30 cubic yards of green waste and just under 20 yards of trash and 20 yards of recyclables were removed from beaches, highways and waterways. Volunteers picked up 30% less trash by weight, and remove more greenwaste. 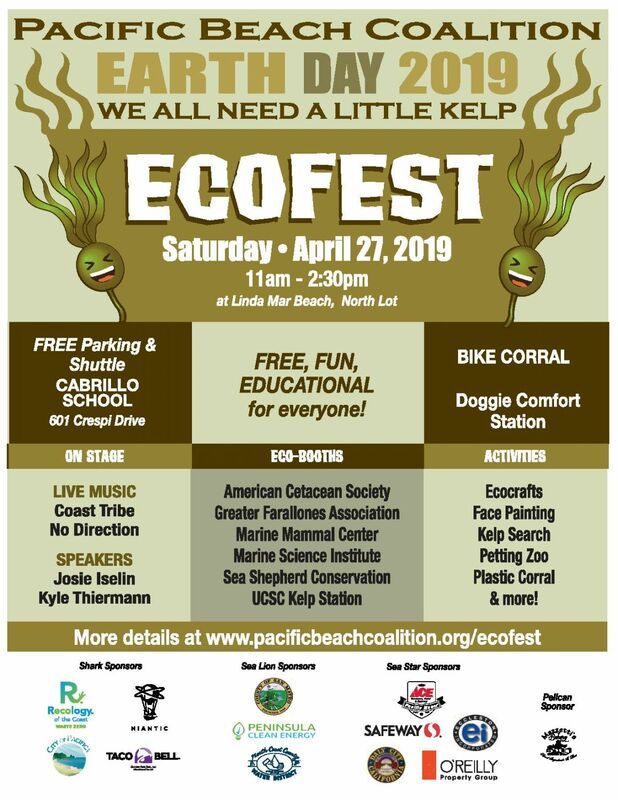 We celebrated sharks (one of the ocean’s most misunderstood sea creatures), Earth Heroes for their passion to preserve our coastal community and Mother Earth alongside 45 environmental and community groups at the post-cleanup eco-festival on Pacifica’s Linda Mar State Beach. 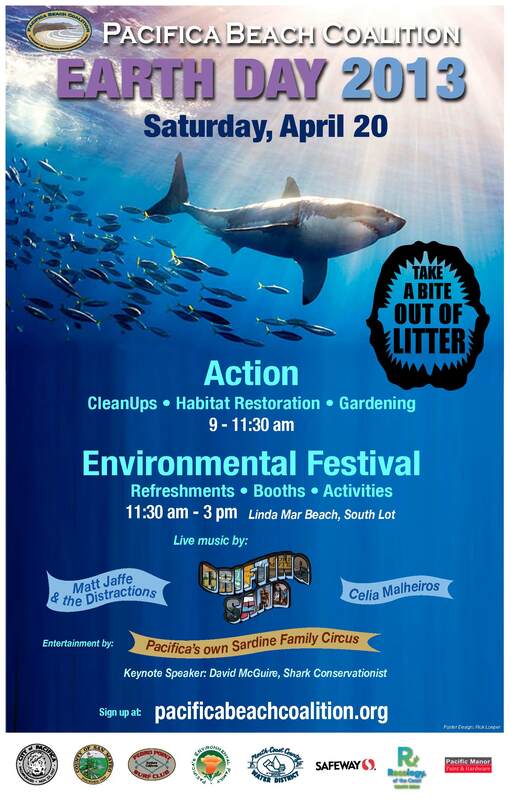 Programming Featured David McGuire (shark expert) and special guest appearance by Whale Wars’ Lincoln Shaw who addressed a united community encouraging businesses, community groups and families to continue to be a part of the solution. Pacifican Mitch Reid was recognized for his collaborative leadership on “The Peoples Tunnels” project and passage of Measure T (1996) to save Montara Mountain. 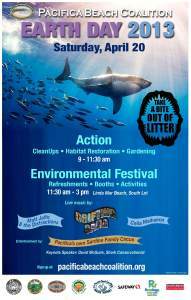 Earth Day 2013 was the year students from 12 schools and 300 high schoolers took the Shark Hero Pledge, and many sites reported less debris than in previous years signifying a trend that the community is becoming more educated about protecting the ocean and preserving our environment. Learn more about our 2013 Earth Day honoree, the shark. 2012 – Be Turtley Cool, Take Action! What an incredible day! Thanks to 8,100 volunteers, 100+ community groups, 100+ businesses, organizers, presenters, bands, and partner organizations for being so turtley cool this Earth Day! Our Earth Heroes, including 300 Terra Nova High School students, removed 16,200 lbs of trash and recycles keeping debris off our beaches and out of our ocean. This was the year groups connected to expand projects, and presentations were held at school assemblies educating students about sea turtles, and supporting legislative efforts (California AB1776) to recognize the leatherback sea turtle as the official State Marine Reptile. We held our first window painting contest to engage the community, expand visibility for our business areas, and create awareness about Earth Day. EcoFest hosted 30+ booths, kids activities and 2,000+ visitors! 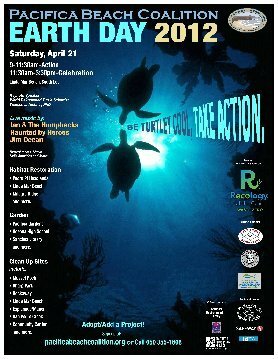 Its programming featured Dr. Wallace J Nichols (scientist, wild water advocate, and New York Times bestselling author) and Dr. Chris Pincetich (turtle expert) plus live performances by Pacifica’s very own Ian & The Humpbacks and Haunted by Heroes. Supervisor Don Horsley, Assemblyman Jerry Hill and Congresswoman Jackie Speier were our special guests at the 8th annual citywide day of action. Learn more about our 2012 Earth Day honoree, the sea turtle. It was a year our Earth Heroes made a whale of a difference! It’s amazing what a community can do in just a few hours when we all come together. 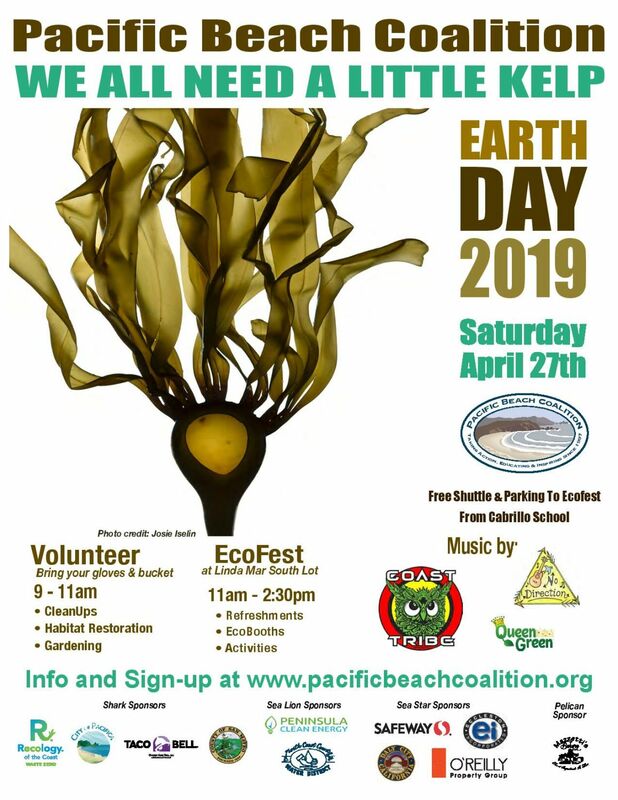 7200 Volunteers, 100 community groups, +100 businesses removed 11,944 lbs of trash, 1,403 lbs of recycling and 7,770 lbs of greenwaste including non-native pampas grass from our beaches, streets and open spaces. More than 6,000 students took the coastal stewardship pledge and followed up with school-wide action. 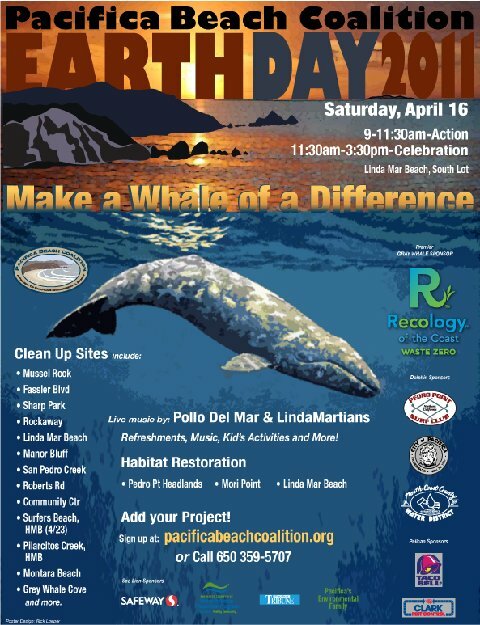 Our Earth Day celebration was held at Linda Mar Beach featuring 25 booths hosted by environmental organizations and community groups, and featured live music from Pacifica’s very own Linda Martians and hands-on children’s activities. 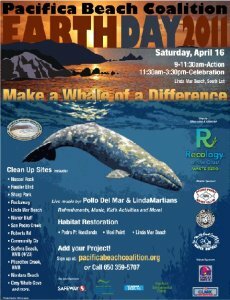 Programming featured Mayor Mary Ann Nihart, Lincoln Shaw of Whale Wars, Supervisor Adrienne Tissier, and Robin Mankey of the California Gray Whale Coalition. 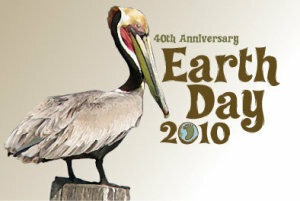 Learn more about our 2011 Earth Day honoree, the California gray whale. In 2010, our community was united for a single cause! 6,000 volunteers and 102 businesses became Earth Heroes by removing 9,679 lbs of trash, 1,313 lbs of recycles, and 3,730 lbs of greenwaste including 1,000 scotch broom across 85 sites in Pacifica, Daly City, Montara and Half Moon Bay. Our oldest volunteer was 94 years of age, while the youngest was under the age of 1. More than 3,700 students at 10 schools took the coastal stewardship pledge, conducted school wide cleanups and received our Earth Hero button. It was the year of great collaboration with our local schools who took action for the 40th Anniversary of Earth Day on their campuses with their students, and allowed their families to experience and make the connection to protecting our coastal environment, as well as the community in ways they may never have had before. To commemorate the 40th anniversary of Earth Day, each student received a Stewardship Pledge bookmark and an Earth Hero button. Each school also engaged students in creating Earth Day banners where they were hung on campuses and then adorned the stage during the Earth Day celebration. Beyond cleanups, 150 native plants and 16 trees were planted. Congresswoman Jackie Speier joined us at the annual celebration attended by more than 500 people where she acknowledged Earth Day in the U.S. Congressional Record. We honored the California brown pelican. Read more Earth Day 2010 Stories. It was the year participation nearly doubled from 2008. 3,744 volunteers, 58 businesses and 95 community groups plus six school-wide events removed 10,442 lbs of litter and recycling, 20 yard dumpster of trash and 3 pickup trucks of recycling. Multiple habitat restoration projects were included in the opportunities to be an Earth Hero. 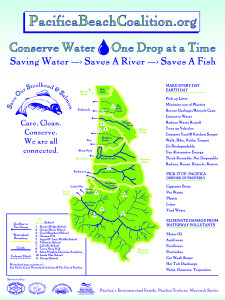 Students received watershed posters. 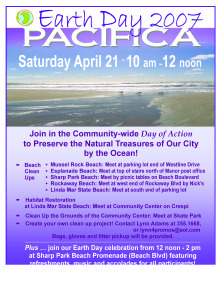 Ten sites outside of Pacifica participated. 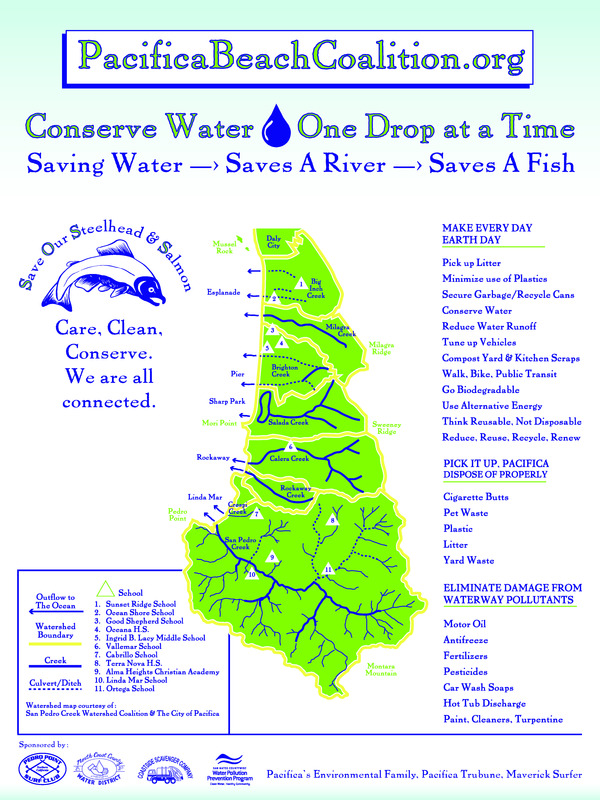 North Coast County Water District was our partner to focus on water conservation. The event was dedicated to Steelhead trout in our San Pedro Creek and off our coast, tying into the water drawn from Hetch Hetchy Reservoir, rivers and streams throughout California and pollution entering the ocean from our streets and beaches. 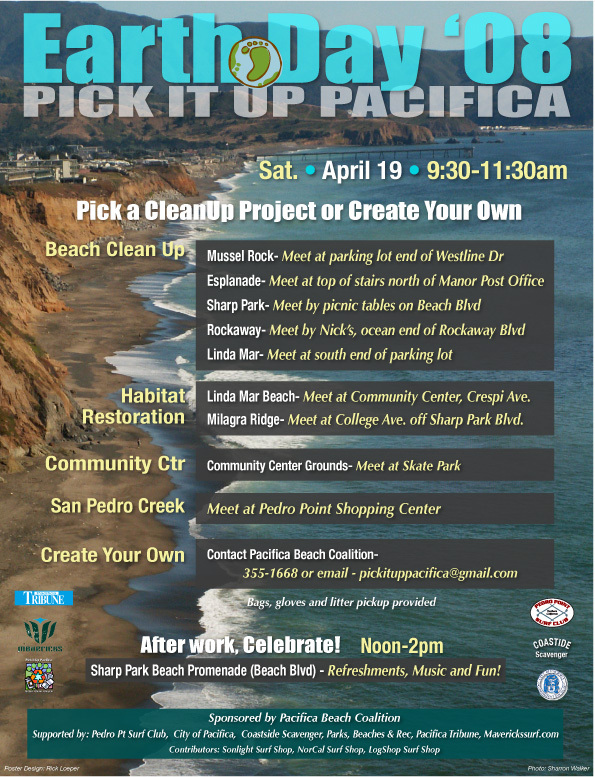 2008 – Pick It Up Pacifica! In its 4th year, despite 45 mph winds and frigid temperatures, the event realized a 252% increase in participation from the previous year (from 600 to 1,512). 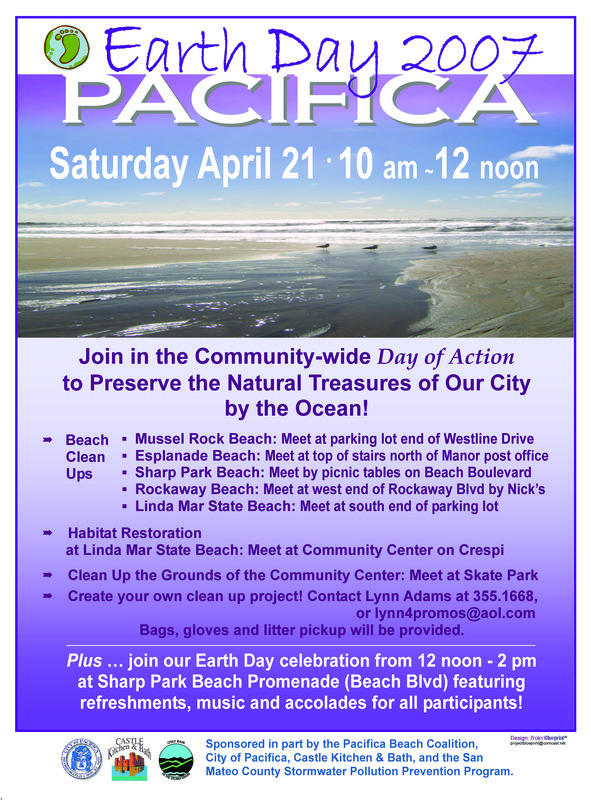 A record number of 1,512 volunteers including a record number of 65 community groups and 55 businesses participated in Pacifica and around San Mateo County (cleanups extended into three other cities in San Mateo, Half Moon Bay and Princeton.) 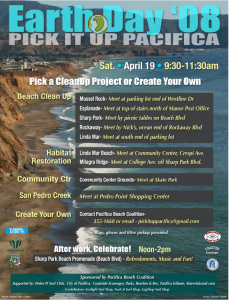 An estimated 11,521 pounds of litter and recycles were removed (including 800 lbs by CalTrans) from 97 city sites including five beaches, six bluffs, five shopping centers, 25 streets, three schools, and five Pacifica childcare centers. Eight habitat restoration and garden projects were completed at Milagra Ridge, Pacifica State Beach, Vista Mar Street, Cabrillo, Ocean Shore, and the Pacifica Community Garden. There was an in business involvement by 400% and 56% of our Earth Heroes were new participants. Bandannas featuring Pacifica’s watershed were distributed to educate about the pollutants we can reduce in our everyday lives to protect and preserve our coastal environment. 500 people attended the post-cleanup celebration. Read more 2008 Earth Day Stories. 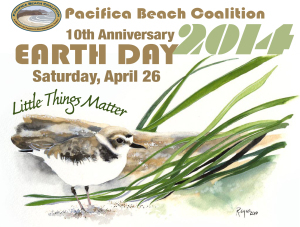 This is the year Earth Day of Action in Pacifica begins to establish itself from its humble beginnings (with 150 volunteers participating in 2005 and 2006) to an educational experience that is also building community to protect and preserve our coastal environment. In just two hours, 600 volunteers, 45 community groups and 13 businesses collected 12,000 lbs of litter and recycles and 4,000 lbs of greenwaste from six beaches, five creeks, 20 streets and 40 sites. Partnership for a Safe and Healthy Pacifica led one of those cleanup sites where ten high school students and adults joined together to honor two students killed in a drunk driving accident by cleaning the street and creek area near the memorial site. The organizer described this Earth Day experience as a very powerful healing way to do something for the earth to honor their relatives. It was the year cleanup efforts expanded and extended beyond beach sites, with an increase in school group involvement including Ingrid B. Lacey Middle School. More than 50 students and 15 adults removed 2,055 lbs of litter from West Sharp Park’s 55-block residential area adjacent to their school before heading to Sharp Park Beach to join cleanup efforts on the beach.